These graffiti boards greeted arrivals in Bristol at the end of the M32 in late 2014, rising up from the Bearpit where the bohemian Stokes Croft area meets the city centre. 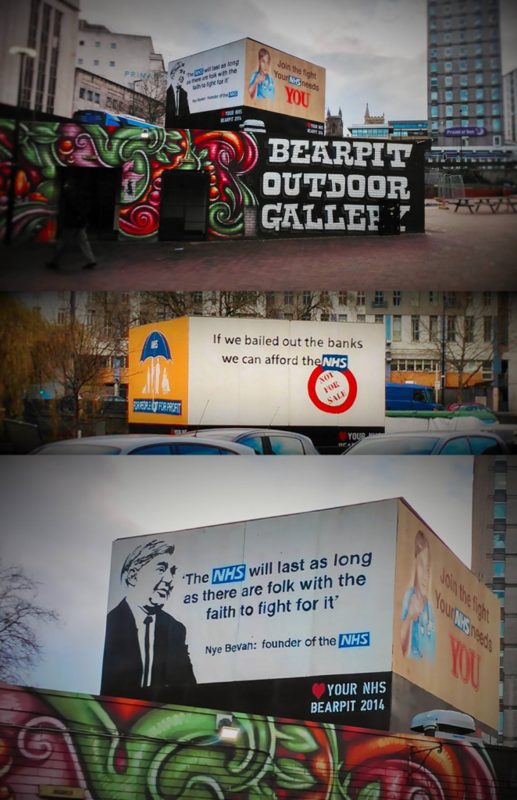 Here the NHS's folk history is used to provide both legitimacy and inspiration for the politics of NHS protest. Photographs taken by GC Gosling.